Finding the muse in whatever you do. It’s a strange qualification to look for, and an even stranger one to capture, but it seems unequivocally correct that ‘the muse’ is not reserved to performing or fine art only. Whether you subscribe to three or nine goddesses, it is certainly an assumption that they controlled the exercise of all knowledge. It was only during the later Roman literature that each of the nine got their decidedly contained areas of power and were restricted to artistic pursuit. The Greek view of universal power is much more sustainable, and if we think on the original three ‘muses’ as in the Thracian version – the idea that one was borne from water, another struck the air to create sound, and the third was the utterance of the human voice we are much closer to the sentiments of this edition of my blog. Thanks to my good friend DW for suggesting this topic. The muse is available to all people in everything that they do. I have been surrounded by so many examples of this, from such disparate origins that it has become impossible for me to reexamine my claim. If one has seen a carpenter work on fashioning a piece of wood – something with his hands where the connection of body motion is directly proportional to effect on the wood– it doesn’t matter if he is a sculptor, an artisan wood worker, builder or framer – or if he is from Texas, Moscow or Mumbai. There is a confidence in creating something with deftness and a joyous exuberance from knowing one is getting it right. Here the muse is at work – having given the power not only to do, but to receive the satisfaction for having done. The muses are also directed for the benefit of mankind, if we are to believe that they were recruited by Osiris to help humans learn about life. It is singularly important that the muse is invoked only in the presence of one human being for his or her work – and only for that one moment in time. There is no mass production for the muse, it must be a personal and individual gift on each creation or utterance. So when Antonio Stradivari made his violins out of the very fine wood from that fabled copse in Cremona, I feel the muses must have brought him there. The earlier violins from the Brescia period are not as successful. Similarly, transporting the Cremonese wood to China with the intent of mass producing the Stradivarius sound is – a ‘nice’ idea – but insults the very idea of the muse. It will be one luthier and one alone, who with the right propitiations might get the muse to bestow her grace once more. 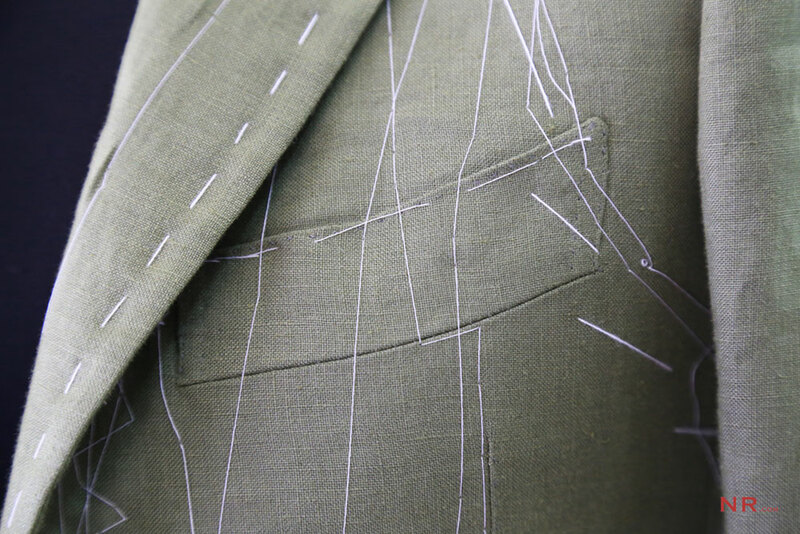 I am reminded again at the all embracing scope of the muse when discovering, as I did recently watching a documentary – the bespoke tailoring traditions of Napoli. These tailors and their fashion houses have the same distinction as divas and divos who train a new generation of singers. The test of their art on every stitch in every day. The rigorous application of their embodied traditions. The deference towards individuals who have proved their worth. A little whimsical imperfection that gives a suit its proper place in the scheme of things. Sartorial elegance at its finest. Here again the muse finds subjects upon which to bestow some grace, because there is a complete immersion in the operation at hand. The person that creates the suit or part of it, is doing this great thing because he does not know what he would do if he could not – and it is, in that moment, the greatest thing that he could possibly be doing with his life. It is on such immersion, devoid of ego and devoid of self that the muse presents its gifts. It is a lesson to be learnt – and not an easy one. As a footnote, though certainly not as ancillary as a footnote, if my readers are interested there is a tailor of bespoke shirts who in the fine tradition of the aforementioned Neopolitan artists is not only a true ‘sarto’ but one whom the muses visit with frequency. Email tothshirts@gmail.com based in Los Angeles. 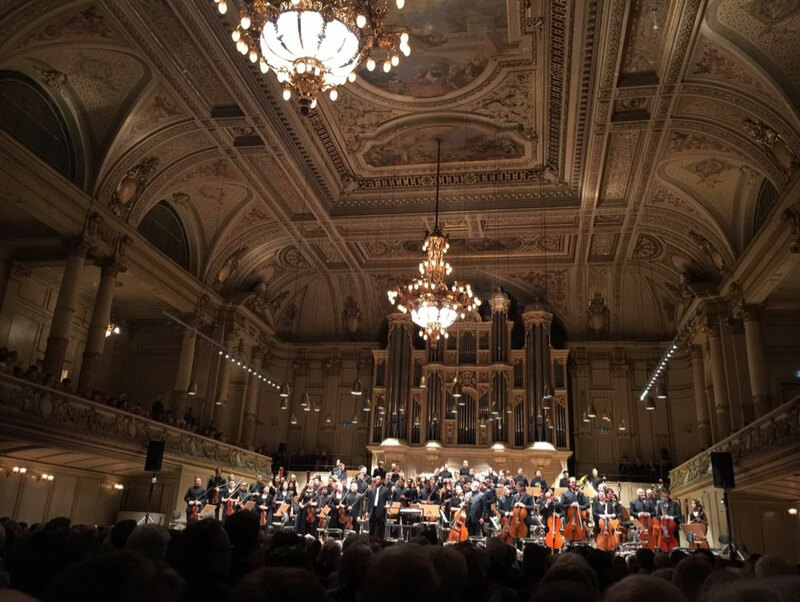 from the Zürich Tonhalle on January 19th. 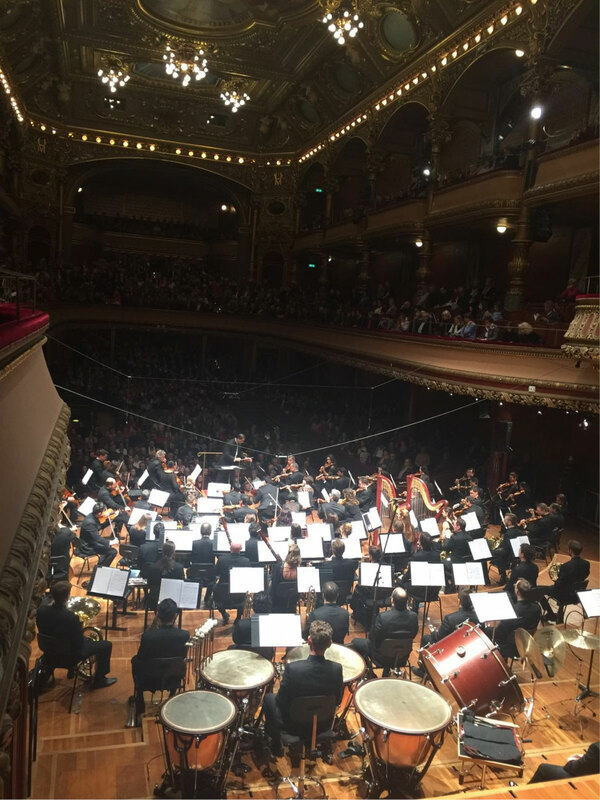 I had the great privilege of leading the Symphony Orchestra of India on tour in Switzerland this month. It occurs to me that each of us on the platform had to ask for the muse to descend, and it must have been so. The concerts rallied in this deep immersion focus which is at once the beginning and the end of all creative music making. Performing music at an orchestral level is a pursuit of which the Greeks would have approved. It does not however, guarantee that the muses will be present – simply because their areas of concern are attempted. There must be a deference and a trust in something greater than the sum of its parts, a selfless, artistic endeavor that is ‘ars gratia artis’ that builds the bridge between mortal men and the gods. To have a muse descend you must first build the staircase on which she might step. from Victoria Hall, Geneva, January 21st. 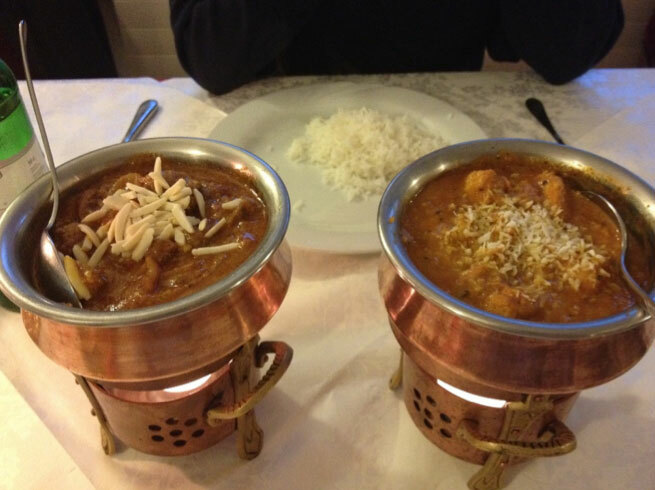 On our last night of tour in the enchanting city of St. Gallen – we sent out for two portions of Indian food, for our touring stagehands who had not done so well in acclimatizing to the Swiss cold or to Swiss culinary delights. I had mentioned by a morning phone call to the proprietor of, I’m sure, the only Indian restaurant in St. Gallen how important it was to make good on this evening. There was muse in the cooking and muse in the eating which will long be remembered. Wherever you are, and whatever you do, there is the possibility – a possibility held in your hands alone – of being accompanied by a Greek Goddess. If it is reasonable to assume that everything one does, is worth doing – then it is also reasonable to assume that everything worth doing, is worth doing well. For this we must seek out and present offerings to the muses – that they might make our work rich and meaningful and in so doing, enrich our lives and that of our neighbours.